The theme of the week was BOOKS! 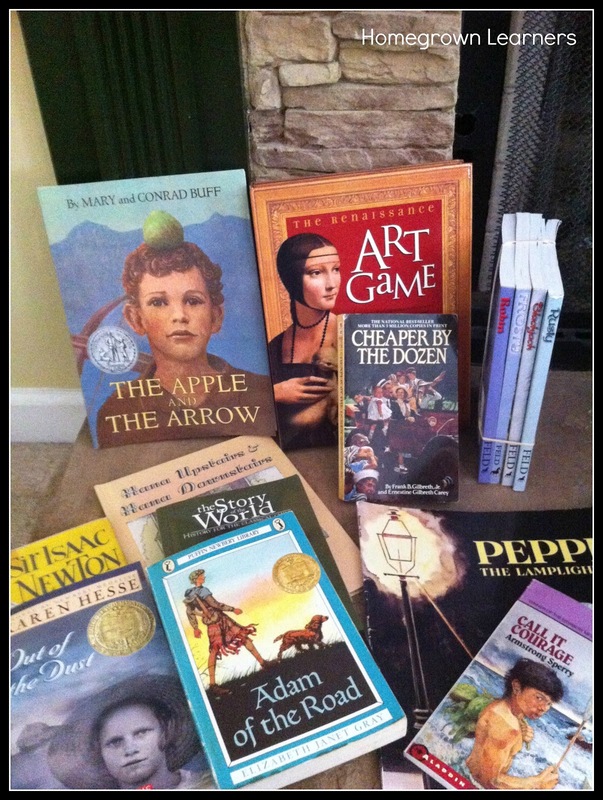 Our local homeschool group had our used book sale. I was a seller, shopper, and volunteer. What a great morning! The sheer number of books and homeschooling moms in one place would give you the shivers... most people I saw had a glazed-over look as they entered the gym... so much potential learning crammed into one tiny space! I'm also so very thankful for our local homeschool group and how hard so many people work to make events like this possible! We also grabbed a few books at our local library's book sale, as well. Paperbacks were .50 and hardbacks were $1.00. I had $10 in my wallet and let the kids go to town with the $10 limit. They did great. So, all in all a great book week! You will also see the website on the computer is "In a Nutshell". This is a blog run by About One ~ I am writing a couple of posts a month for this site now. I have never thought of myself as a "writer" per se, but I'm now adding that word to my self descriptive vocabulary. 2. My daughter's favorite book from the past few weeks is Knight's Castle. She finished it this week and then I (the mean mother) required a book report. We've been having some motivation (ahem) issues around here. I understand this is age related, but we must keep pressing through and keeping our expectations high. Interest Led Learning is great, but you have to have INTERESTS to make that possible. I'm gently suggesting interests! We think so much about moms losing motivation in these spring months, but I think the same goes for our children as well. * I do have to say that Miss B has expressed an interest to learn about England, so I think I'm going to put together an Adventure Box about England and let her explore. 4. Both kids have still been a bit under the weather this week. I've been trying to make lots of healthy smoothies for them. The favorite this week was the Cinnapear Smoothie! 1. I have a very neat spice cabinet. (It is probably one of the only neat places!) Guess what? It was a lesson in ALPHABETICAL ORDER! 2. After doing three chapters in The Story of The World this week we read Who Was Marco Polo?. I love all of the "Who Was" books and this one was no different. While I was reading my little guy hopped up next to me on the sofa with his LEGO bow he had made ... that stinker built a Mongolian Composite Bow. I adore homeschooling. We also did some music notebooking with history - download the Medieval Music Notebooking pages for yourself! 3. Another history picture - map work of Marco's journeys across Europe and Asia. 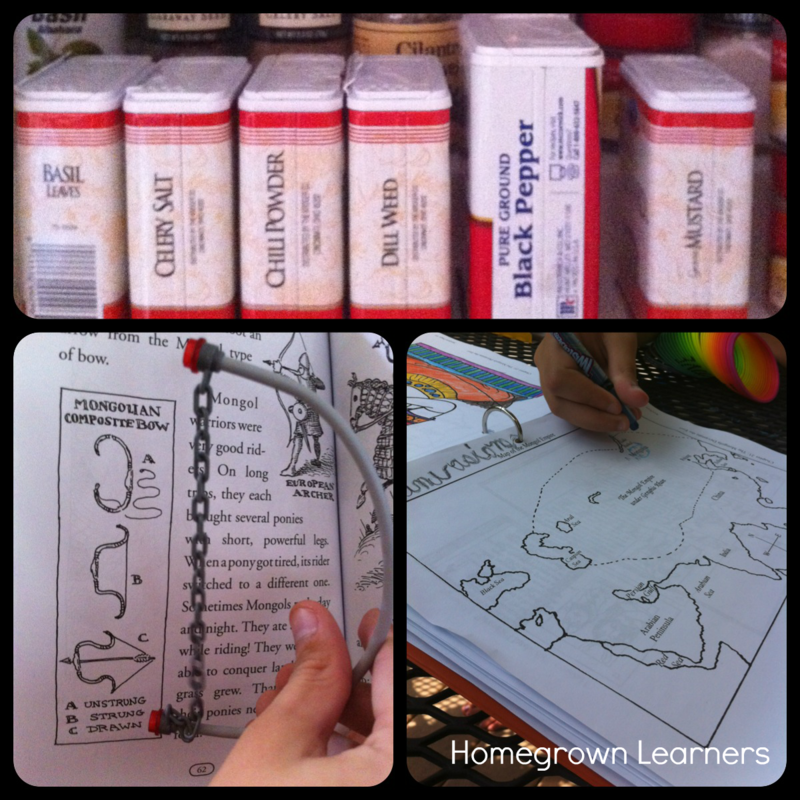 Our favorite resource this week was a series of videos we discovered at the library. Countries Around The World are short videos that take children throughout a country - and they are guided by another child. We have watched Iceland, and checked out United Kingdom and Italy (in honor of Marco Polo). All in all it was a good week... trying to get my little guy feeling better after walking pneumonia and just tying up loose ends of the school year kept us at home most of the week and not doing anything "fun". Next week I'll be the fun mom - I kind of missed her this week. I had an email from my own mom this week that praised me for doing a good job with my own children and told me to keep up the good work on my blog. That praise meant so much to me... and in an instant I realized what it feels like to be one of my children... how much they crave praise and how they must feel when they get it from me (which isn't enough). 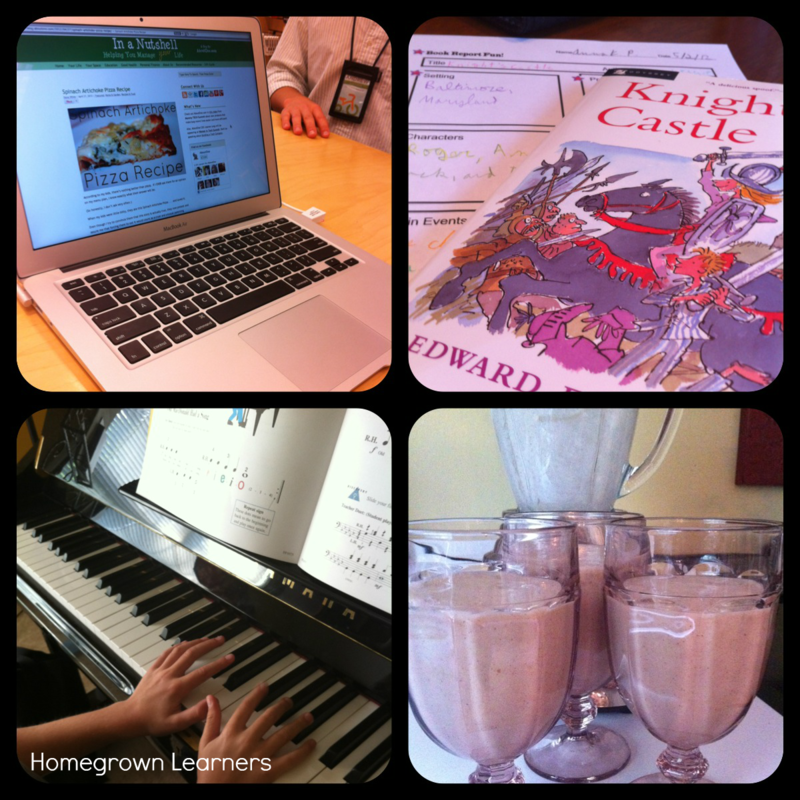 How was your homeschool week? 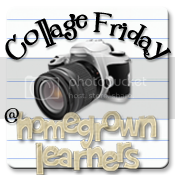 Please feel free to link with me... no formal collages necessary, just a compilation of photos that tell the story of your adventures in learning. As always, please grab my button from the sidebar or link back to this post in some way. Please visit the person who has linked ahead of you to offer encouragement and gain ideas.